There aren't enough food, service, value or atmosphere ratings for La Diperie, Canada yet. Be one of the first to write a review! This was our first time visiting "la diperie". What a unique concept! 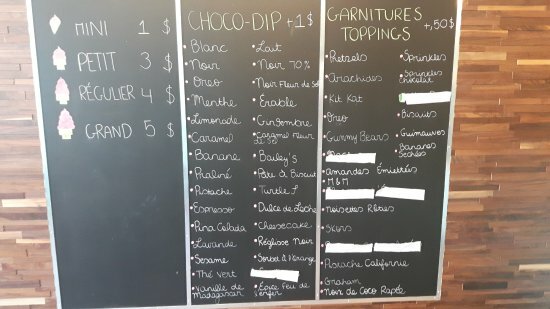 Loved all of the choices of flavours and toppings. Prices were extremely reasonable for specialty-made to order cones! Wished we lived closer as we would visit again! 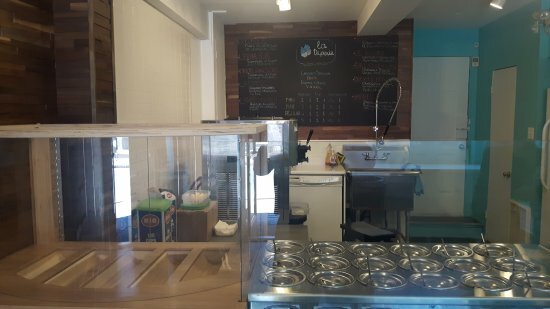 The soft serve ice cream is tasty and the concept is fun. We came here on a warm late summer night after dinner with the family. Service was quick and we all loved our ice cream. Get quick answers from La Diperie staff and past visitors.